PowerStep Running Boards produced by AMP Research are original factory equipment on some vehicles. Running boards are triggered automatically when any door. Add the ultimate touch of luxury to your pickup truck or sport utility vehicle powered running boards. Furthermore they extend outward when you need them. Then they retract out of sight underneath your vehicle when you don’t. AMP Research has engineered and built all fixed and moving PowerStep components to very high standards. Ford and General Motors offer these very powered running boards as an OEM factory option. They are perfect for 4×4 owners who need maximum ground clearance during off-roading. AMP Research offers running boards sized to fit your make and model that achieve an OEM-quality fit. Mounting brackets with a pivoting design fit easily onto vehicle body mount bolts or existing frame holes. A centralized control module is placed under hood for easy power connection to your vehicle’s battery. This comes complete with heavy grade wiring that runs through door ajar sensors, then through sill plates after drilling. The wiring connects easily to power motors that mount directly onto bracket ends and to LED lights that secure to the vehicle frame with the use of double-sided tape. To ensure moving parts do not become compromised by mud and grit buildup, motors and pivot points are sealed with internal lubrication – making them virtually maintenance-free. Hence running boards on each side can support up to 300 pounds and textured surfaces give maximum grip. AMP Research also offers the Extension Arm Kit. This comes with four extension pieces that mount between the standard PowerStep mounting brackets. They are powered running boards to create a step height that’s two inches closer to the ground. The extension pieces fold out of the way when the boards retract. This maintains a side profile that is flush to the vehicle. Furthermore this provides convenience for lifted trucks and passengers with difficulties climbing larger steps. Customers can by AMP Research running boards that offer Stainless Steel Trim Strips. They come in multiple lengths that slide easily onto the front edge of newer style powered running boards. Don’t worry if you have older AMP Research running boards. The Complete Stainless Steel Trim Upgrade Kit gives you new-style replacement running boards. They bolt on easily to existing arm brackets. Replacement LED lights are also available in the event any on your vehicle. AMP Research builds all components in the United States. Finally they come with a 5-year/60,000-mile warranty against failure due to manufacturing defects. When you properly service your vehicle it will look great, run great and last a long time. To assist you , we offer a wide range of Las Vegas auto repair services for the care and maintenance of your vehicle. Whether you need tires, brakes or a muffler, Advanced Automotive Works can take care of your automotive service needs. Monaghan’s Auto Repair uses state of the art leak detection and refrigerant identification equipment. This assists our ASE certified diagnosticians in the mechanical diagnosis of your auto air conditioning system. Because we use the most proven leak detection technologies including Electronic and Ultraviolet detectable die. The Diagnostician inspecting vehicles is an ASE certified speicialists. While every diagnosis preformed at Monaghan’s Auto Repair uses a computer generated written estimate. • Car AC Service Las Vegas – Identification of leaks in your system can save you costly recharging. • Because Leaks in your A/C system can cause premature compressor failure. • So have a professional diagnosis with a written estimate for comparison shopping. • While we have a key drop available for after hours vehicle drop-off. Today’s automotive electronic circuitry has more in common with the internet than it does with the simple electrical systems. Any common vehicle may have as many as 30 different sensors. While sending signals to several on-board computers responsible for correctly acquiring the desired in-car temperature. Because we maintain state-of-the-art scan-tool diagnostic equipment to interface with the vehicles computer systems. While this assists our technicians in the electronic diagnosis and repair. Certified technicians with the experience in electronic troubleshooting necessary to repair today’s electronic climate control systems. •Proven diagnostic techniques for step-by-step troubleshooting with trustworthy and timely repair. •Trained technicians with the skills to diagnose and repair the most complex problems. •Alldata Certified Information Specialist capable of accessing up-to-date technical data required for the proper diagnosis and repair. Symptoms of vacuum problems can vary from a slight annoyance to a complete failure of the climate control system. Generally engine vacuum controlled through a series of valves, hoses and vacuum motors. This can include choosing between dash vents and defrost, or even heat vs. air conditioning. Because technicians with the experience required to see a job through from the initial troubleshooting to the repair. So our certified information specialists can access over 1.1 million pages of technical data. •Specialized vacuum leak detection equipment. •Car AC Service Las Vegas. When you or your family needs help with your Diesel Truck Repair. Call Monaghan’s Auto Repair at 702-906-2444. Diesel repair on trucks is not easy. As a result not every mechanic or shop is equipped to work on diesel engines. Diesel Truck Repair at Monaghan’s Auto Repair! Becuase of their higher compression ratio diesel engines produce more torque than gas engines for a given displacement. Higher pressure in the cylinder and higher forces on the connecting rods and crankshaft require stronger, heavier components. Heavier rotating components prevent diesel engines from revving as high as gas engines. 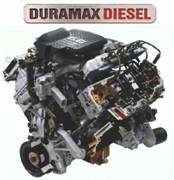 Diesel engines generally have similar power and inferior power to weight ratios. This is compared to gas engines. Gas engines must be geared lower to get the same torque as a comparable diesel. Because gas engines rev higher both will have similar acceleration. An arbitrary amount of torque at the wheels can be gained by gearing any power source down correctly. A diesel engine with a constant 200 ft.lbs of torque and a 3000 rpm rev limit has just as much power as another theoretical engine with a constant maximum 100 ft.lbs of torque and a 6000 rpm rev limit. A 2 to 1 reduction gear on the second engine will output a constant maximum 200 foot pounds of torque. This is at a maximum of 3000 rpm. This is with no change in power. Comparing diesel engines based on torque is just as useful as comparing them based on rpm. Why Mobile Car Battery Replacement is the best decision….. When your car won’t start and the battery is dead, give us a call! Batteries fail in the harsh Las Vegas climate. 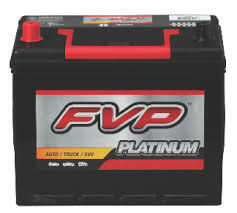 Car Batteries typically last 3 to 5 years but much less in this harsh environment. There is no reason to waste half a day or your time in a mechanic shop. We come to your home or business with zero downtime. Because your time is important, we come to you. Customer who use this service are very happy with the outcome. Mobile repair is a great alternative when the repair is fairly simple. Give us a call when your car won’t start and we will get you on with your day.